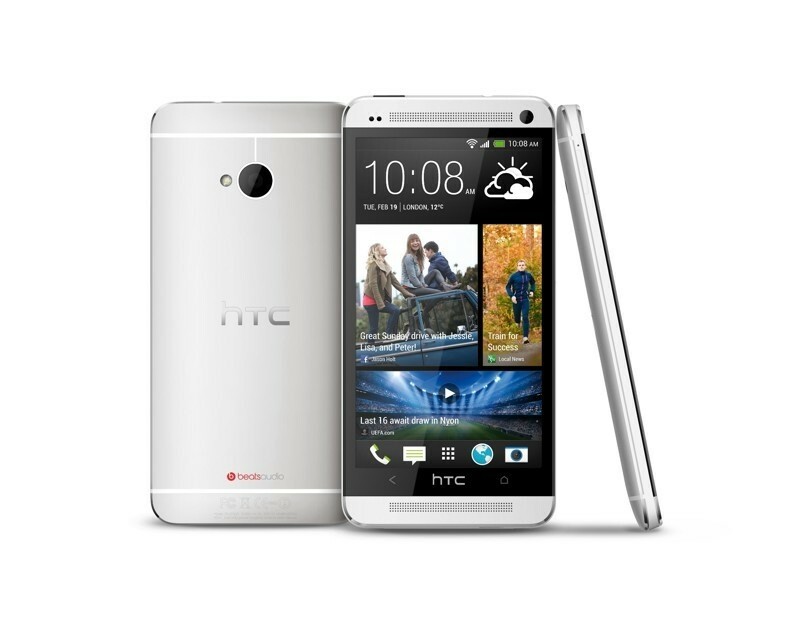 HTC One is so far one the greatest high end handsets not released yet! 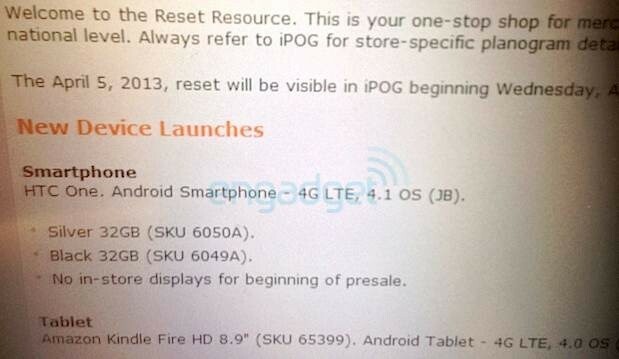 But a leaked picture of a training document for AT&T reveals that the second largest carrier plans on accepting pre-orders for the HTC One starting from this Friday April 5th. The price stateside will be $249.99 for the 32GB model with a signed two-year pact. That contradicts the $199.99 price for the phone that we saw saw on the Radio Shack sign for the Sprint version of the model. According to the leak, the phone will available in two colors, Silver and Black and AT&T is not putting up any signage in its stores for the beginning of the pre-order period. The exclusive 64GB model likely won’t be ready in time for early adopters, but it’ll go for $299.99 once it does show up on store shelves. The HTC One will be available for Sprint, T-Mobile and AT&T while Verizon is expected to sit this one out. Still, with some funky things happening to the HTC DROID DNA’s online listing, there are some who feel that a version of the HTC One will end up at Verizon. Meanwhile, the three carriers that are definitely getting the phone each will apparently offer different pricing.Based on the earlier Radio Shack sign, it looks like Sprint will have the HTC One for $199.99 on contract. If the leaked document that accompanies this article is legit, AT&T’s variant will ring up the register at $249.99 on contract and T-Mobile is expected to allow you to buy the phone with a $99 down payment and pay for the rest monthly.